Living Green 365: Our Changing Climate - Is Your Home Ready? Our Changing Climate -- Is Your Home Ready? More intense and frequent storms, extreme heat and humidity, flooding, changes in rainfall patterns, more power outages--these trends are consistent with what we can expect with climate change and are already happening in Minnesota. They have a big impact on our communities, neighborhoods, families, and homes. In a changing climate, a good goal is to have a home that is able to withstand weather and temperature extremes. Fortunately, there are many things that we can do to prepare our homes for these changes. An added benefit is that many of these actions also help reduce the biggest contributor to climate change: greenhouse gas emissions! The burning of fossil fuels,such as coal and natural gas, to create electricity or to heat buildings creates climate-altering greenhouse gas emissions. Reducing our energy use not only saves us money and conserves resources--it’s also an effective way to cut our emissions. A home energy assessment by a professionally trained auditor can help pinpoint home performance issues and offer solutions that can save you money and reduce your home’s energy use and carbon footprint. Check with your utility company to see if they provide free or subsidized energy audits, or contact the Minnesota Building Performance Association for suggestions regarding energy auditors. A home that is well air-sealed and insulated saves you energy and money while increasing your comfort. During power outages, homes that are properly sealed may stay comfortably warm or cool for longer. They are also much more climate-friendly than poorly sealed homes, because they require less energy to heat and cool. Home Envelope, a publication of the Minnesota Department of Commerce Division of Energy Resources, provides clear, practical recommendations and information on home insulation, air-sealing, and more. 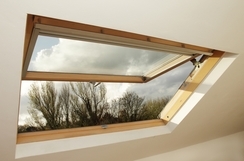 During mild weather, explore ways to increase natural ventilation. First, determine how and where prevailing winds are blowing--refer to the NOAA Wind Map for guidance. Next, experiment with opening windows and doors throughout the house to find out what gives you the best air flow. Add strategically placed fans to help move the air from room to room. 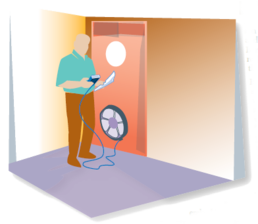 See Cooling Your Home with Fans and Ventilation from the U.S. Department of Energy for more suggestions. To function best, furnaces, air conditioners, water heaters, and similar systems need regular maintenance. Information on maintaining heating and air conditioning systems is available at energy.gov/energysaver. If shopping for new heating or cooling systems, look for ones that have the Energy Star label. The label certifies that the appliance has met U.S. EPA standards for energy and water use. Consider furnaces, water heaters or other systems that can be wall mounted or elevated in areas where unwanted water might enter. Only run full loads in the dishwasher and washing machine. Replace inefficient toilets and fixtures with water efficient ones. When shopping, look for the WaterSense label, which ensures that the product has met high standards for water efficiency and performance by the U.S. EPA. Heavier and more frequent rain events mean more stormwater run-off and more potential for storm-drain backups, erosion, water pollution, flooding, and water in homes. Keep gutters cleaned to help direct water away from the foundation. If your gutter system is not big enough to handle heavy rain, consider replacing with over-sized gutters. Place rain-barrels at downspouts. A 1-inch rain on a 1,000 sq. foot roof will produce over 600 gallons of water! Use the collected rainwater to irrigate your lawn or garden. Empty barrels often to prevent overflow! Create a rain garden to collect storm-water that might otherwise find its way into your home or flood your lawn or street. Watch for water pooling close to the home. Landscape through sloping or other means to redirect water away from the foundation. Limit/replace surfaces like asphalt and concrete (which don’t absorb water) with permeable (porous, absorbent) ones. Like rain gardens, permeable pavers and porous asphalt and concrete allow water to soak in, helping to replenish groundwater, rather than draining into storm sewers or streams and lakes where it can cause flooding and contamination. Native plants typically need less water to thrive than do non-natives and can often handle drought and other weather extremes more effectively. An added benefit of native plants is that many have deeper root systems which can absorb and retain water that might otherwise become storm runoff. 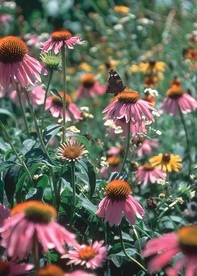 They also provide habitat for birds, butterflies and other pollinators as well as local wildlife. Trees are great options for fighting climate change -- one tree can absorb a ton of CO2 over its lifetime! Trees are also great at absorbing rain water. See livinggreen.org/trees for information and guidance on landscaping with trees. An excellent resource on landscaping for energy savings can be found at Energy.Gov/Landscaping. The 5th annual Sustainability Film Series continues! Bell Museum of Natural History is located at the corner of University Ave. & 17th Ave. SE in Minneapolis, on the University of Minnesota campus. Fifty million people in the U.S.--one in four children--don't know where their next meal is coming from. Directors Kristi Jacobson and Lori Silverbush examine the issue of hunger in America through the lens of three people struggling with food insecurity; ultimately showing that making healthy food available and affordable is in the best interest of us all. Refreshments served at 6:30 p.m.
Come learn about resources for greener living, conversation cafes, and local and eco-craft vendors. Music and kids activities included. Experts on different topics including food, energy, transportation and more will be on hand to discuss environmental issues and to give you ideas on how to address these in your community through education, displays, demos, and activities for this coming April's Earth Month. Event partners include the Alliance for Sustainability and Hennepin County Environmental Services. Saturday, March 28, 3 p.m. Created by students from Pacific Lutheran University's MediaLab (Tacoma, Washington), this documentary investigates how and why food is wasted. The 30-minute film will be followed by a discussion of food waste and the efforts being taken to reduce this unnecessary waste. Amanda Brasgalla, Senior Producer, will be present to discuss the project. She is a fourth-year Communication major with an emphasis in Conflict Management and Global Peacebuilding. This event is open to all -- PLU alums, friends and family of the university, perspective students, and members of the public interested in learning more about how you can address food waste in your own life. To RSVP, click here. Learn more about the documentary at http://wastenotdoc.weebly.com/. Thank you for subscribing to Living Green 365. This newsletter is a publication of the Minnesota Pollution Control Agency. Send questions or comments about living green to the address below.